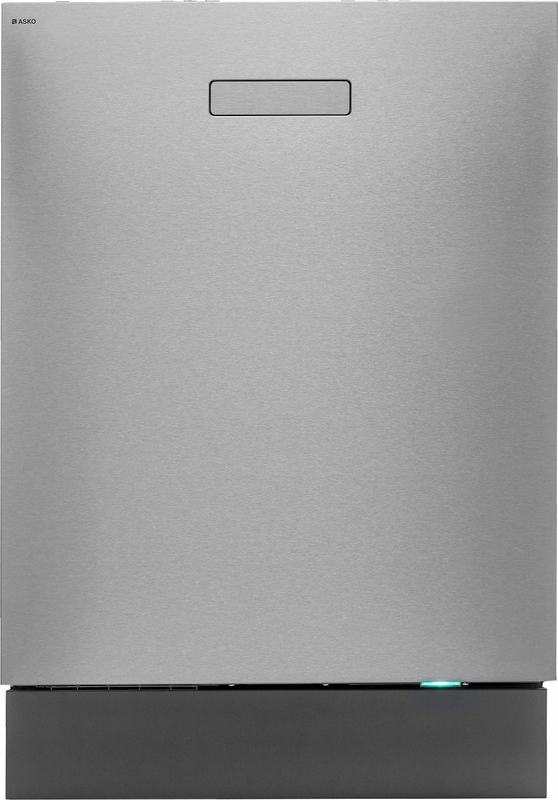 ASKO - Built In Dishwasher Range Now At ASKO In White Or Stainless Steel! WELS rating: 5 stars, 12.2L/wash. Energy rating: 3.5 stars, 295 kWh per year. Premium appliances work together to create seamless kitchens with maximum potential culinary output. Features become focal points when minimalist Scandinavian design creates spaciousness and a cooler kitchen, something the ASKO DBI654IBS Dishwasher does in style. Let ASKO take care of the delivery and installation of your new product for professional results. Your product is guaranteed to be installed correctly by the ASKO technician. Our drivers will call you beforehand to provide a 2 hour time frame for delivery and installation, helping you to plan the rest of your day. Delivery and installation is carried out by an ASKO qualified technician who is skilled to install our products. All products installed by ASKO include a 12 month installation warranty for workmanship. We will show you how to get the most out of your new appliance and answer any questions you may have. You can also opt to have us remove and recycle your old appliance, giving you one less hassle to worry about. What is a built-in Dishwasher? Also called slide-in and under-counter dishwashers, built-in dishwashers are permanently located for convenient operation. Built-in dishwashers are designed to fit within small and large kitchen cupboard cavities, and once connected to the household plumbing can function independently or in tandem with other appliances and water systems. Dishwashers are a must-have for entertainer’s kitchens and productive spaces where multi-tasking is necessary. It’s important to investigate your choice thoroughly, as some dishwashers are simply not built to last, while others are underwhelming performers. ASKO developers are dedicated to transforming dishwashing power and re-establishing the advantages of contemporary living spaces. 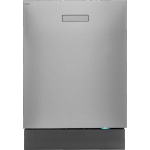 What should you consider when choosing a dishwasher? Your dishwasher choices will be governed by kitchen design plans. In many cases, chefs prefer to work with ASKO appliances throughout the kitchen, including ovens, cooktops, rangehoods, wok-burners, microwaves and more. Smart appliances such as the DBI654IBS Dishwasher work in harmony with other products for superior culinary results. In addition, all ASKO appliances are made using stainless steel components for a quality appearance, superior performance and greater product lifespan. 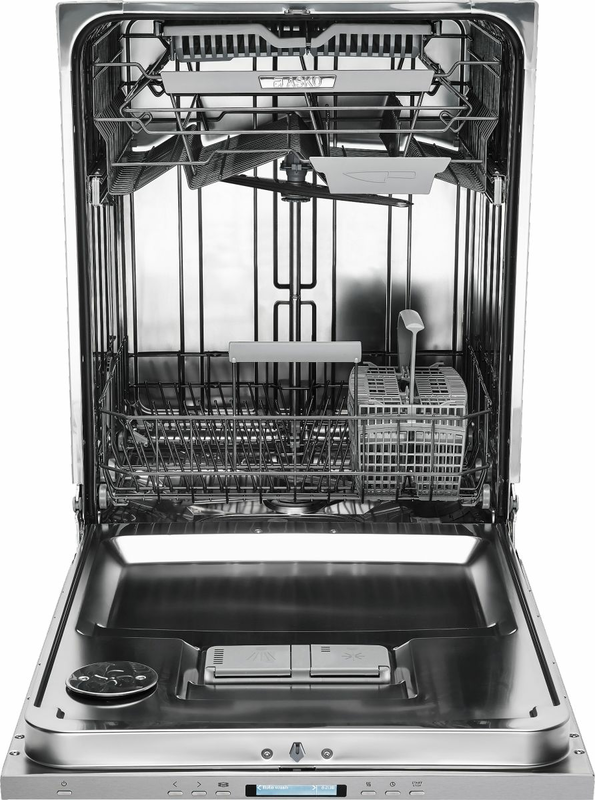 The ASKO DBI654IBS Dishwasher is a mid-priced appliance that provides a premium service. The modes and features of ASKO dishwashers are multifunctional and fully adjustable, allowing your wash cycle to be tailored with energy-saving ingenuity. It’s important that dishwasher components are hard-wearing, long-lasting, easy to maintain and efficient, and ASKO dishwashers tick all the right boxes. How much can this dishwasher hold? 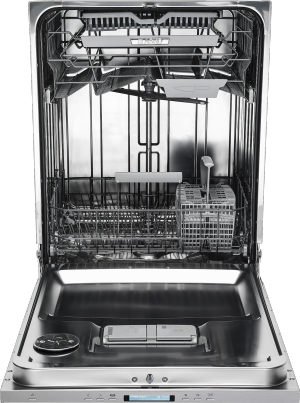 Among all features that ASKO ensures, dishwasher capacity is top of the list. By using the best materials in tandem with superior technology, ASKO can make dishwashers with single-piece stainless steel interiors, components and accessories. The precision fit allows greater cleaning power, smoother operation and maximum dishwasher volume. At 82cm high and just under 60cm wide, the ASKO DBI654IBS is at the head of its class, with features and functions expected of the best appliances. With a five-star water rating and enough space for 15 place settings, Flexi Tray and foldable shelves, the DBI654IBS is a quietly performing powerhouse that is snugly built-in to any medium sized kitchen cupboard space. How is a built-in dishwasher installed? The situation is similar for both renovations and new builds. If the space is the right size, with solidly constructed sides, your ASKO dishwasher is made-to-measure. If yours is a new build you will need to drill holes through the cabinet for the wires, water inlet and drain tube. A fully installed ASKO built-in dishwasher is a self-contained kitchen powerhouse that will motor along in the background. Connecting the water supply line and drain line aren’t difficult tasks, but it’s always best to have the dishwasher professionally installed. Once the connections are in place the dishwasher is fastened using appropriate ASKO hardware provided with the product. ASKO appliances are manufactured to last, and look amazing in an ASKO inspired kitchen, where simplicity and style meet in harmony. How much water does this dishwasher use? You can rest assured with a 5-star water rating, the ASKO DBI654IBS Dishwasher provides environmentally friendly, energy-efficient solutions. The 15 place settings are ingeniously designed to accommodate the maximum load, while the jet spray comes from all directions to blast away any leftovers. Variable temperature and heater settings enable users to utilise dishwasher functionality while saving water, while the dishwasher interior remains clean and hygienic, thanks to long-lasting stainless-steel components. The ASKO DB1654IBS Dishwasher is a self-cleaning kitchen assistant worth serious consideration for contemporary Australian homes.